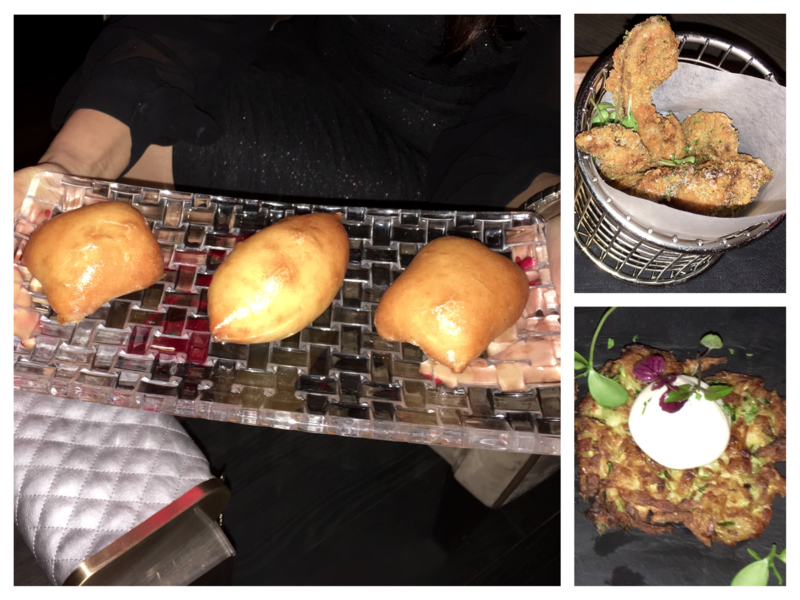 September was one of the busiest time in Dubai for us food bloggers, after Ramadan and summer break, the month of September had lot of new restaurant openings, old menus revamped and new menus launched, at many of the restaurants. 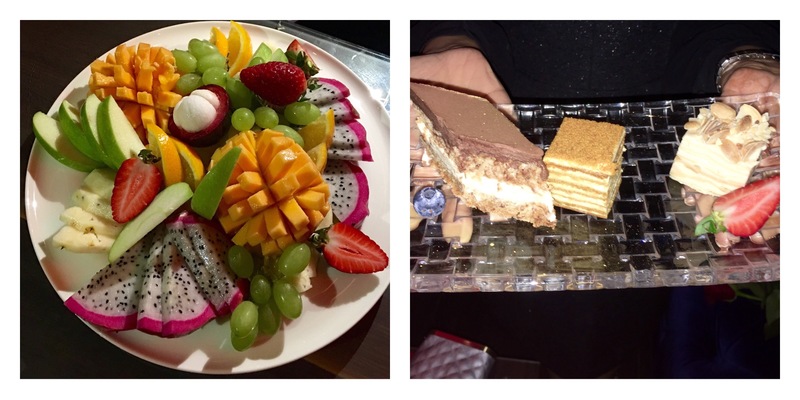 Around the 20th of September, I was invited to the launch of the new Ladies Night at Vesna Restaurant & Lounge. 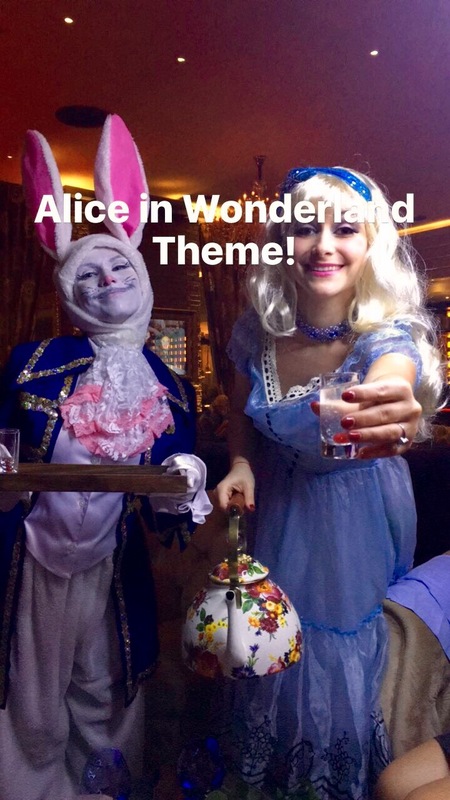 As my friend and I got into the taxi to reach the venue, we were quite excited as the theme of the night was from our favorite book-‘Alice in Wonderland’. 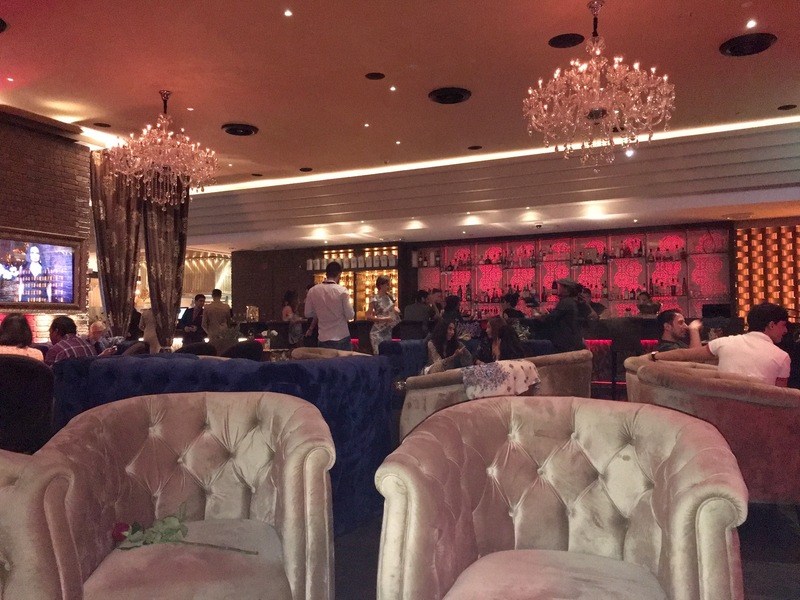 Located in the Mezzanine Level of the plush Conrad Hotel on Sheikh Zayed Road, Vesna is a luxurious dining venue with a restaurant, lounge and bar. It offers Modern European and Slavic Cuisine. Vesna in Russian means spring. And the Vesna Restaurant & Lounge is as lively and beautiful as the spring season. We had to walk the red carpet to get inside Vesna, after all it was a launch of VIP ladies night. Vesna oozes luxury, glamour and elegance. Vesna is a spacious venue with a separate bar, lounge and restaurant area. They also offer private dining area. The decor of Vesna is tastefully done-from the beautiful crystal chandelier, upholstery to furniture and tableware. On every Tuesday Vesna will host a ladies night from 7pm-11pm. It will be the Alice in the Wonderland theme night. They will offer a special 3 Course Set menu for 150 AED per person or if you don’t want to opt for the set menu, you can go for the Lounge Menu. The lounge menu has limited choice. For ladies night there is a discount of 50% on the lounge menu. Plus the ladies get to have 2 different Vodka based cocktail. The Alice in Wonderland theme night was fun, with people dressed up in theme costume and there were many theme props as well. The female DJ had us all grooving to the beat. The music in Vesna is outstanding. Infact, it enhanced our ladies night experience. We were seated in the lounge area, with few other media people. I got to try both the Vodka based cocktail and my friend tried a mocktail. 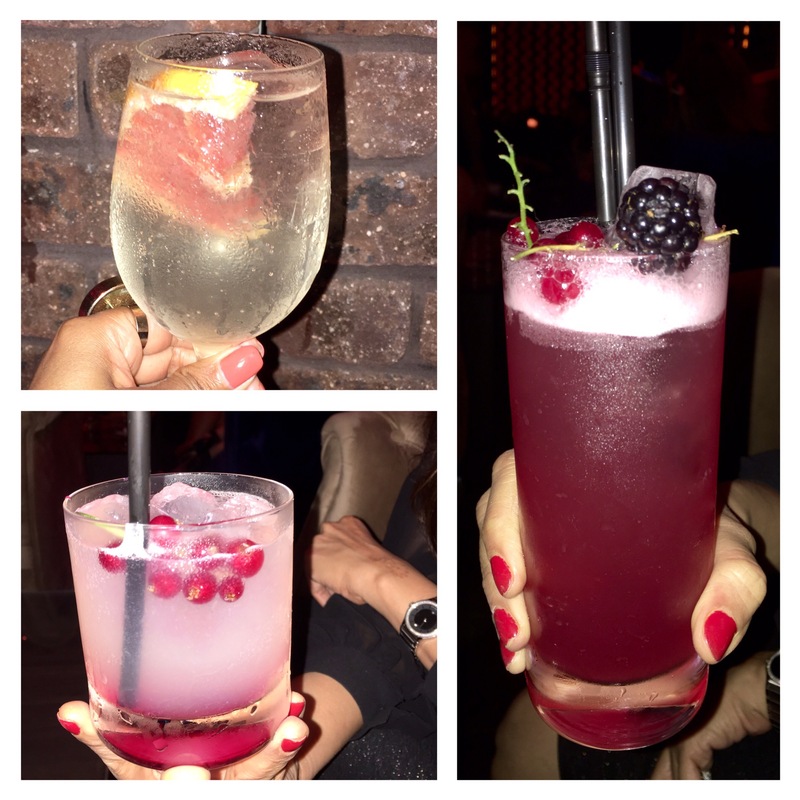 The drinks were mixed well, refreshing and delicious. All of us ordered from their lounge menu, while the other media people ordered dishes like Lamb Sliders with Halloumi cheese, Wagyu beef tartare and Salmon Tartare, being vegetarians we ordered only vegetarian dishes from their menu. The Homemade Pastries with potatoes, cabbage and mushroom were amazing. They were freshly made and had a melt-in-your-mouth kind of quality. We relished it. The Crispy Mushroom Hats was disappointing. It was breaded mushroom fried in oil and sprinkled with Parmesan and herbs. It was served with sour cream. Zucchini Hash Browns was another disaster. It tasted bland and flavorless. For desserts we tried their Mix of fresh fruits and berries and Assorted cakes and Pastries. Both of them were excellent. Each and every assorted dessert was tasty, rich and delicious. If you are looking for a classy and glamorous ladies night venue with great music and drinks , you can consider Vesna.